Fifteen years ago, when I first started traveling I practically lived in my favorite red flannel shirt. That shirt just always found its way into my backpack, no matter where I was headed. Why? Because flannel shirts are great for travel. 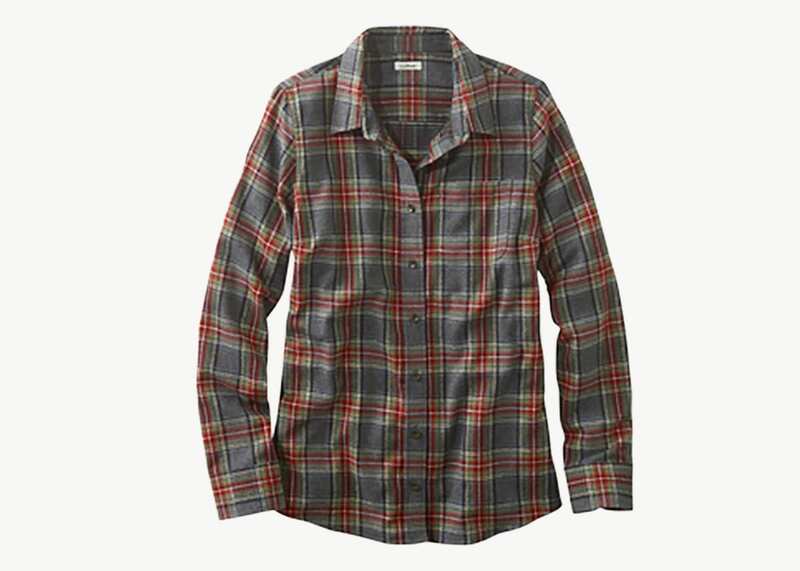 Flannel is durable, comfortable, great for insulation and sun protection, and flannel shirt patterns don’t show stains. Plus, they look great. I wore my travel flannel shirt when I sold Christmas trees in New York City and in the bier halles of Munich. I even took that flannel to the sunny beaches of Thailand (and wore it nearly every night to ward off mosquitoes). A great flannel shirt is the ultimate in between layer for nearly every adventure, and the right flannel shirt can handle years of rough travel and still look awesome. 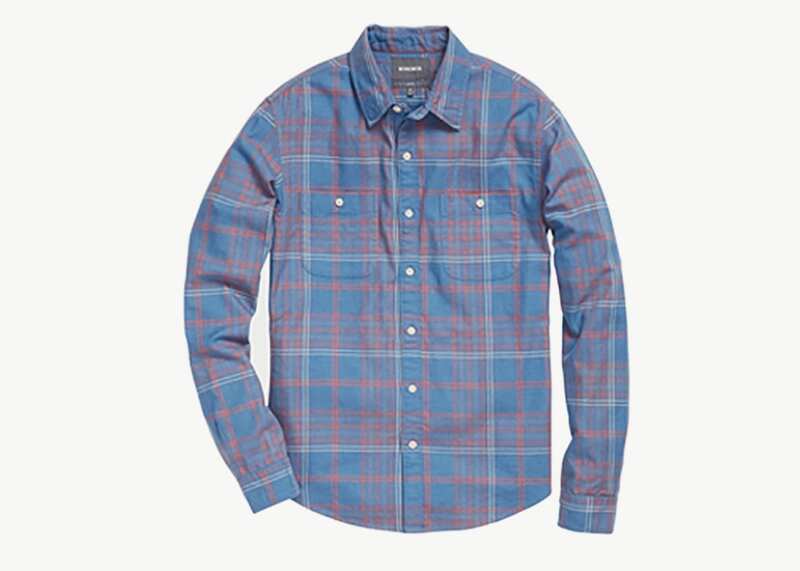 Flannel really is one of the best utility travel shirts for digital nomads, especially if you’re heading to Europe, the US and Canada, or South America. 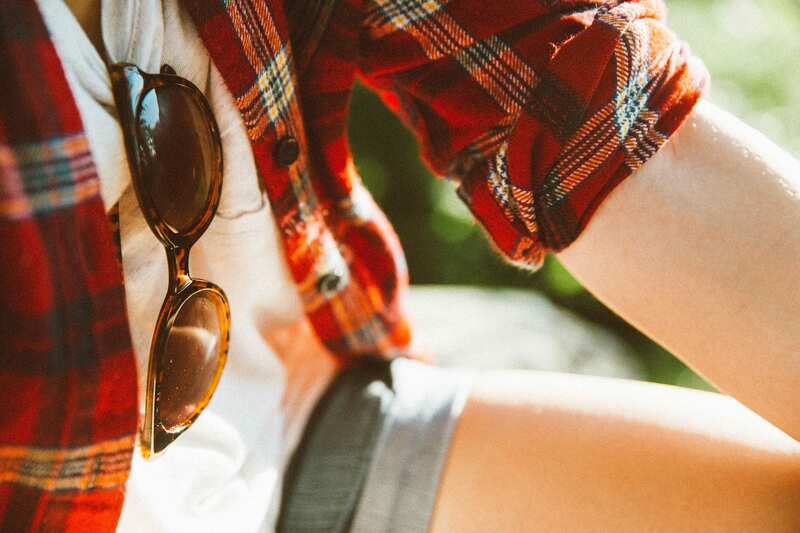 Here are some of the best flannel shirts for men and women, as well as a quick guide for how to pick the perfect flannel shirt for your next dapper lumberjack adventure. “Flannel” isn’t a pattern—it’s a fabric. And the best flannel shirts are made out of 100% premium long thread cotton. If you only take one thing away from this article, remember that 100% cotton flannel is always better than polyester or any other “travel” fabric blends. You’ll know it when you feel it. If you’re super worried about traveling with a cotton shirt (you shouldn’t be), you can find flannel with a tiny mix of elastane or spandex for extra give. But, honestly, if you get the right size, 100% top quality cotton is all you need. Pro Tip: “Brushing” is an additional process that adds that extra fuzzy feeling to flannel. Look for “brushed flannel” to get super soft cozy material. A great travel flannel shirt doesn’t have to fit like a glove. In fact, a little give is good. If you want a travel shirt that lasts for years get a flannel shirt that grows with you. 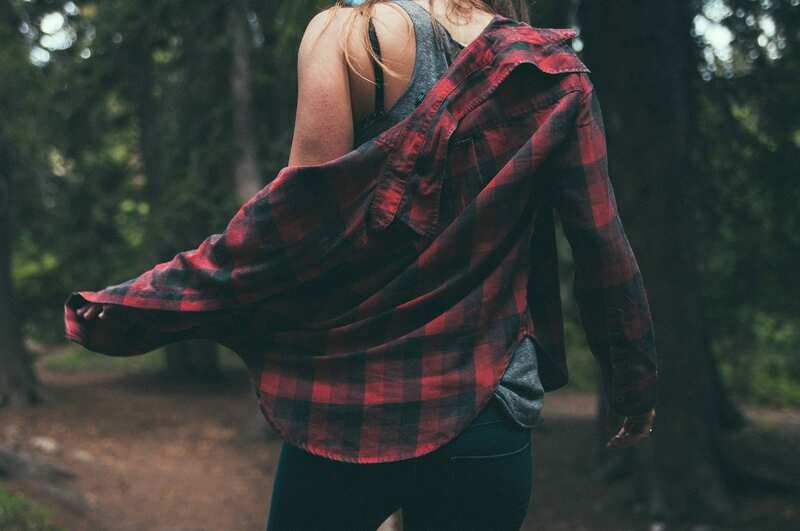 Getting a slightly bigger size flannel shirt for travel means you’ll have room when you’re hiking, and your flannel can function as an outer layer over other clothes. Your body will change and fashion trends will evolve. Because some flannel shirts can shrink in the first couple of washes, if you’re in between sizes, always go with the larger size. The best flannel shirts are simple, comfortable, and durable. But that doesn’t mean they can’t be versatile. Don’t underestimate the utility of a good chest pocket with a button or snap closure. I keep a lot of stuff in my flannel pocket when I’m working or traveling. And while I like side pockets in my jackets and hoodies, it’s nice to keep things, like your headphones, up and out of the way when you’re strapping on a backpack hip belt or working outside. A good chest pocket is a huge plus, and most flannel shirts have one. In the age of superfine merino and polyester tencel blends, you might ask, “Why should I buy a travel flannel shirt?” The reason flannel works so well isn’t just because of the quality cotton. It’s how flannel is woven together. Flannel is made by weaving short, uneven cotton fibers into a pattern. These tiny, slightly ragged fibers give flannel a textured finish, and that texture helps trap a lot of air close to your skin, creating a kind of pseudo layer of body heat that keeps you warmer than “performance” synthetics. The benefits of flannel are literally woven into the fabric, and that texture and the heat trapping it provides is what makes flannel warmer than anything short of merino wool. Natural fibers are almost always better for travel clothing than synthetic blends, despite all the marketing hype and additional features. 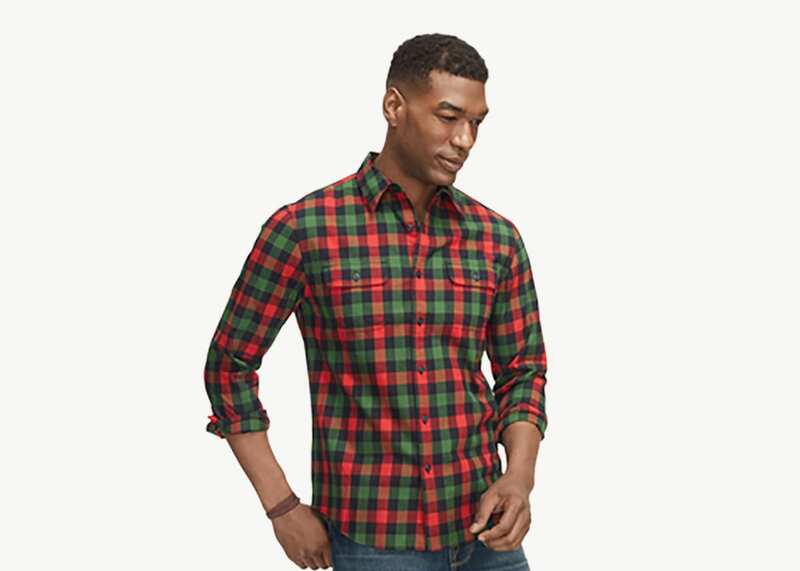 LL Bean is still the biggest name around when it comes to 100% brushed cotton flannel. They’re from Maine, so they know flannel. The signature Castine Flannel shirt is a 3-season flannel that’s light enough to travel with, yet sturdy enough to work as a rugged outer layer. 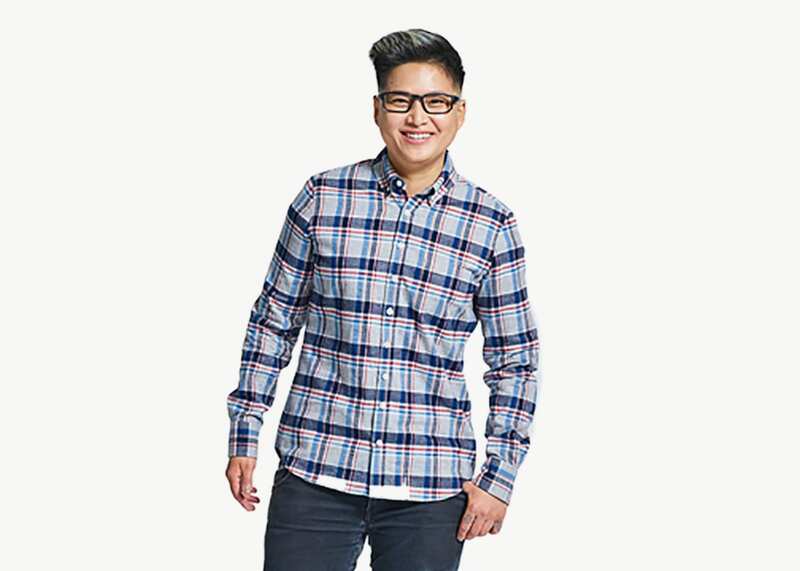 The chest pockets are great for keeping your stuff safe in transit, the shirt tail is stylish and works tucked or untucked, and LL Bean makes enough patterns to find one that suits your taste. Affordable, versatile, lightweight, and stylish as heck. LL Bean flannels are timeless travel clothing that just plain works. This might be the best flannel shirt on the list—budget or not. 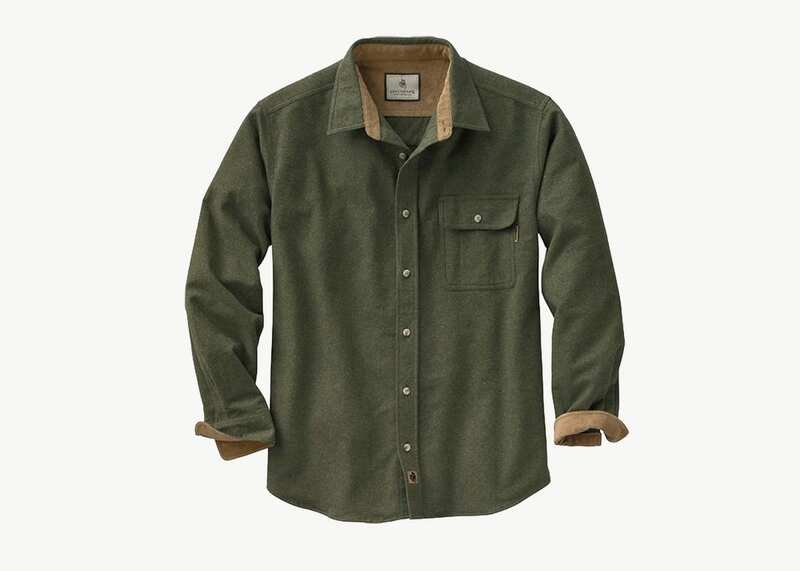 The 100% brushed cotton fabric and rugged construction make Legendary Whitetails flannel shirts the go-to shirt for hunters, which is saying something about performance. Pro Tip: Make sure you go up a size since these shirts can shrink a fair bit on the first wash, but after that you’re good to go. For a long, long time. If you ride a bike at home or when you travel, the Club Ride Shaka Flannel is ideal, especially for colder, windy months. Personally, I hate techy biking gear, since it often doesn’t work well for travel, but you don’t want a shirt that’ll get soaked with sweat after ten seconds of pedaling. The Club Ride Cycling Flannel Shirt is the solution for active travelers, even in chilly weather. Designed for mobility, this is the only polyester flannel on the list, thanks to the mid-weight fabric, mesh lining and venting under the arms to wick away moisture when you ride. It also has reflective material for added safety at night (which is great), and a zippered chest and rear stash pocket to keep your phone or whatever safe while you ride. Stylish, safe, and solid. These shirts are 100% cotton (which is awesome), but the thing I like most about Bonobos Flannel Shirts is how they fit. The Slim Fit is my default, but you can also choose between regular cut or the more tailored fit for a more professional look. They even come in extended sizes. 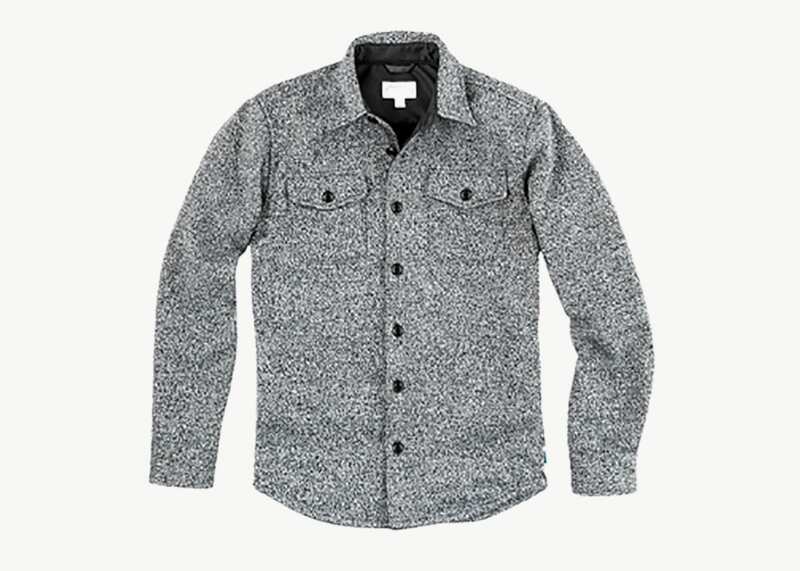 These flannel shirts are perfect for the rugged lumberjack trapped in a cubicle, or basically any digital nomad who wants to look sharp on video calls and slick during happy hour. Just learn how to (actually) measure yourself, and order online with confidence. If you’re looking for a thicker outer layer that still performs like a flannel shirt, check out the North Coast Shirt Jacket (aka “shacket”) from Edgevale. Made from a wool-poly blend with fleece lining, the shirt jacket offers more wind and weather resistance than a typical flannel. It’s almost like a winter coat that fits in your backpack. I really like the side pockets (which make it feel like a useful jacket) and the deep, deep, deeeeeep interior pockets which are perfect for stashing your boarding pass and a good book to read on your next long haul flight. Seriously, they’re kind of amazing. My only note is to be super careful with the sizing as these jackets tend to run a little large. (I’m 6’1” and the medium was huge on me). Yeah. 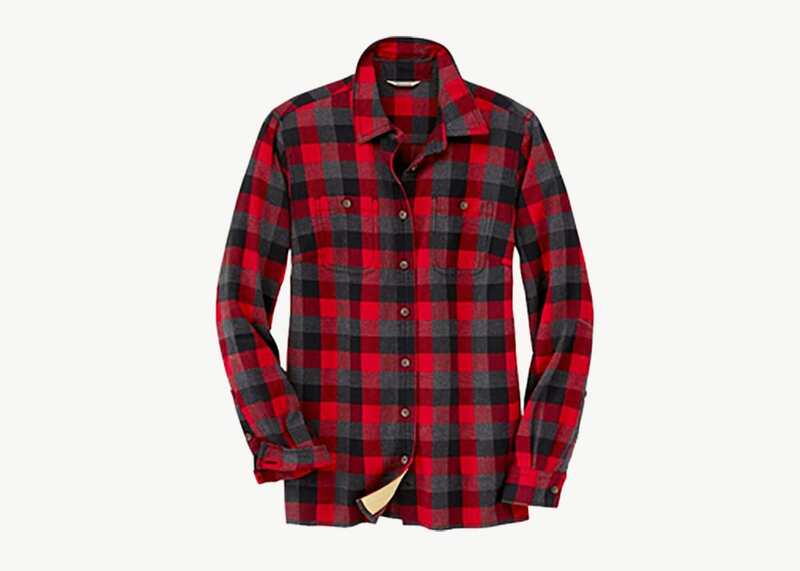 LL Bean is still in the mix, especially when it comes to flannel shirts. 100% cotton on the outside, fleece lined on the inside. 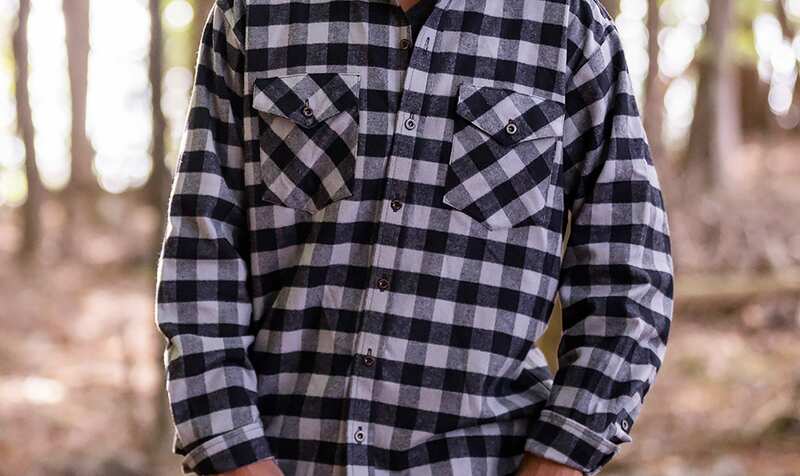 It’s a classic flannel from a company that’s been making classic flannel since before it was cool. The LL Bean Fleece-Lined Flannel is the ultimate stylish layer for cold weather travel. And it’s easy to see why she likes it so much. Made from 100% top-quality cotton, the slightly fitted flannel shirt falls at the low hip with just enough shape to make it perfect for any occasion (even work). LL Bean knows how to make a great flannel shirt, and the Scotch Plaid is just the latest in a long line of top quality travel friendly gear. Comfy, stylish, and affordable. 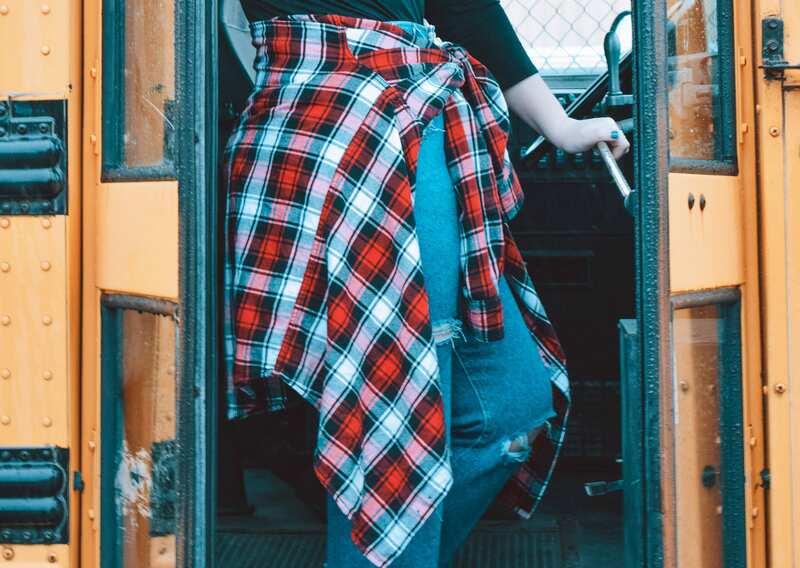 Kirrin Finch somehow managed to mash up a crisp professional look with a comfortable, durable flannel via the Bly Flannel Shirt. This flannel is full of thoughtful, stylish, well-designed touches that set it apart from other flannels. Featuring a 9-button closure (for more button down options), a button down collar, a relaxed tailored fit, and premium quality Japanese cotton twill, this flannel isn’t like the rest—and people will notice. It’s even got red accent buttons on the cuffs. Sharp as heck, and travel approved. Built for women on the go, the Free Swinging flannel is made plush cozy 100% cotton, with a relaxed fit complete with underarm gussets to allow for free movement. 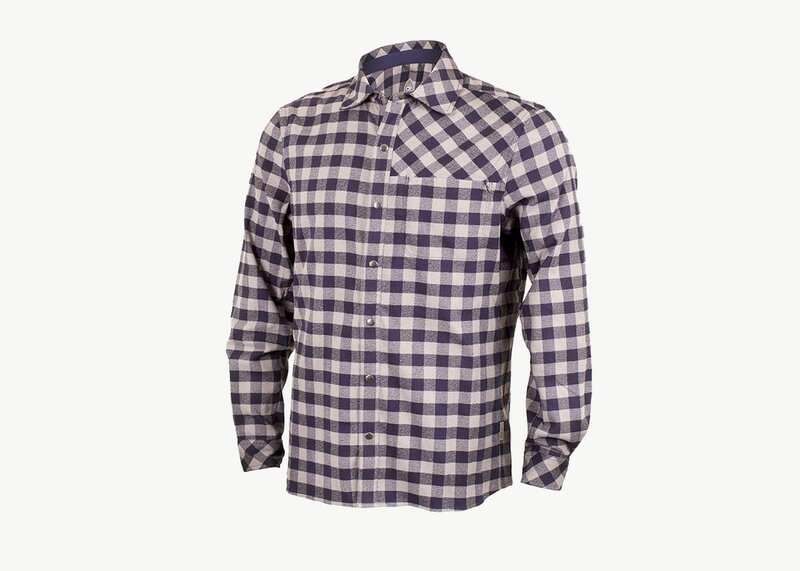 The hem stays tucked when you want it to, but looks great untucked for a versatile, stylish travel flannel. There are cheaper options, like the J. 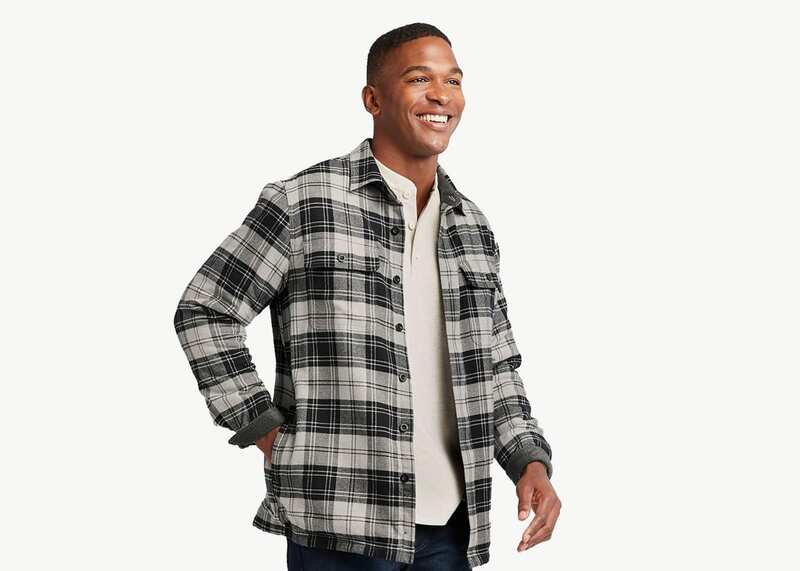 Crew Factory Flannel ($24), but this is definitely on the budget side of things. The coolest part is that this flannel even features a Microfiber “shammy” shirt tail to polish your camera lens (or your glasses) on the go. And that’s pretty dang cool. A good flannel shirt can be a great business shirt, outer layer, hiking shirt, work shirt, travel shirt, and even sleeping shirt. Get one that’s got a little room to grow, is made from premium cotton, and suits your style, because a great flannel shirt is one you’ll wear for years. Make sure you like it.